We found a great little nursery this past week called "Vivero Morazan", and you guessed it, it located in Barrio Morazan of Atenas. They have a great selection of trees, ornamental shrubs and herbs, with better prices than we have found elsewhere. Since we are still in the rainy season, we decided to go ahead do some landscaping this weekend and take advantage of the nursery's great prices. John did all the hard work (thanks my love), while I just pointed to where to plant things. If everything he planted takes off like we expect it to, this place will be a showplace in no time. 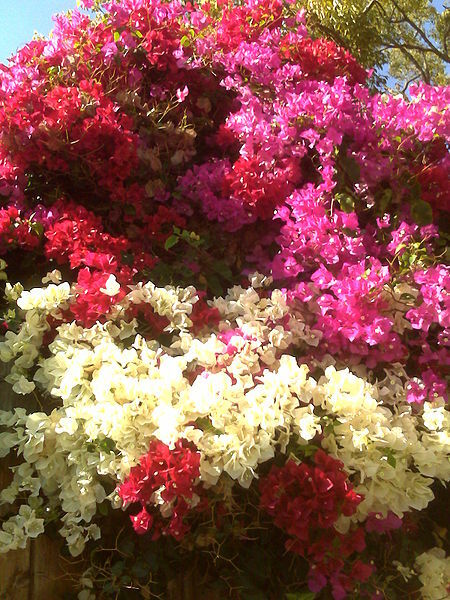 We bought about 10 Bougainvillea bushes, in multiple colors, to plant along our property wall, several small shrubs and decorative grasses for our entryway, and lemon grass (citronella) for the border around our Terraza (Here's hoping we can keep the insects at bay). We also bought a beautiful 5' palm tree, a mandarin lime tree, an oregano bush and a limonella tea bush. We spent less than $60 U.S. for all of it and I'm ready to go back for more. 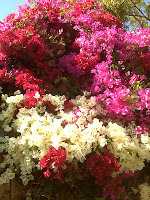 When the Bougainvillea takes hold, we should have gorgeous cascading blooms of color all along our wall and the thorny nature will act as a deterrent to the kids that like to climb the trees on our parkway. 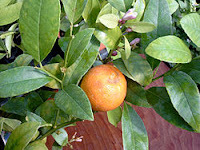 The mandarin lime, or Limón Mandaring, is a hybrid cross between a tangarine and a lemon. It is absolutely the best juice you can use in Ceviche and on meats. It is also commonly used to make a lemonade with a slight orangy taste. Very yummy. One of these days I'll get around to taking photos of the Casa and our landscaping. In the meantime, all the best to family, friends and followers.